Heat-rejecting, UV-blocking, glare-eliminating solar films will keep you safe. When most people think about vehicle safety, they focus on crash test ratings and minimizing the consequences of a collision; things like airbags, seatbelts, and various driver-assistance technologies. While these are important, many people miss addressing the health risks that we face on an ongoing basis. We are quick to apply sunscreen or wear protective clothing before spending time outdoors, but rarely consider how driving can put us at risk for the same potential hazards as a day at the beach. Sun damage caused by exposure during driving is a serious issue that certainly deserves more attention. Drivers and passengers are at the mercy of the sun’s radiation. UV rays that pass through a car’s window on sunny days can cause sunburn, premature aging, and even contribute to skin cancer. Fortunately, Autobahn’s heat rejection window tint is available to keep vehicles cooler and safer. The sun is the source of all life on Earth. As humans, we need sunlight to survive and exposure to sunlight has massive health benefits. However, like most things in life, the correct amount of sun exposure is a balancing act; too much sunlight can be as harmful as too little. Those of us with children or elderly family members must pay increased attention to sun exposure, as these groups are particularly susceptible to harm. To avoid serious health concerns, it’s important to explore solutions to solar exposure. In addition to UV radiation that passes through windows, we must consider the issue of excessive heat buildup. A hot car can lead to occupants becoming dehydrated, light-headed, or nauseated. In extreme cases, neither rolling down the windows nor full-blast AC will be able to combat excessive heat. The solution to heat control is heat rejection film. Autobahn offers a high-performance automotive window film that can help anyone prevent their vehicles from overheating. The films reflect UV and heat-carrying infrared radiation away from your car’s interior, meaning that vehicle occupants will stay cooler and safer. UV exposure and excessive heat are two ways the sun puts us at risk in the long-run, but solar glare is a more immediate concern. Glare causes drivers to lose their ability to see the road. 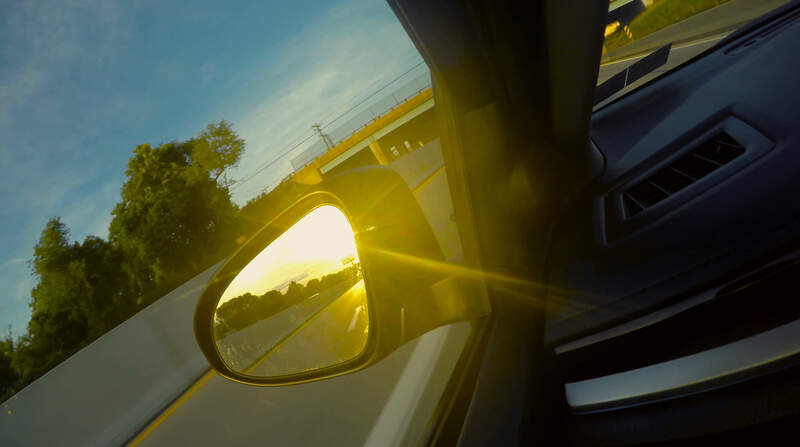 We all know that taking your eyes off the road for even a split second can be disastrous, so eliminating solar glare should be top-priority for all safety conscious motorists. There are many reasons to invest in automotive window tint, the most obvious being that it produces a safer and more comfortable journey. If you are concerned at all about vehicle safety, high-quality window films is a great place to start. We are here to answer all your questions. previous post: Why Are More Drivers Using PPF?